Octavia Spencer attends the 71st Annual Directors Guild Of America Awards at The Ray Dolby Ballroom at Hollywood & Highland Center on February 02, 2019 in Hollywood, California. Octavia Spencer completed her all-black look with a patent clutch. 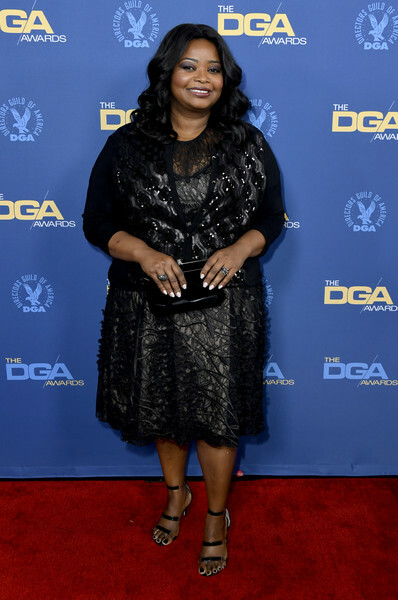 Octavia Spencer donned a little black lace dress for the 2019 Directors Guild of America Awards. Octavia Spencer complemented her dress with black triple-strap sandals.